The Kingdom of Bhutan has long held an air of mystery for many in the West. Isolated between India and China, and with restrictions on tourism and other foreign influences, this tiny nation (often considered to be the setting for the fictional land of Shangri-La) is far less well-known than other Himalayan countries. 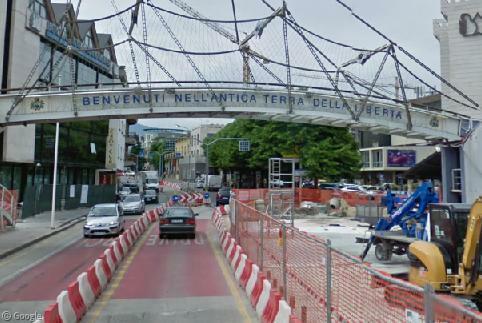 A few months ago, however, Google opened up the country via Street View, allowing us all to explore the many wonders of the Land of the Thunder Dragon. The Street View car travelled some 3000km (1900 miles) of roads throughout the country, from the four-lane expressway in the capital of Thimphu, to rough rural tracks, attracting stares wherever it went. Bhutan has no automated traffic lights, relying instead on the occasional policeman and lots of roundabouts1, which often feature signs warning of the dangers of using mobile phones while driving. 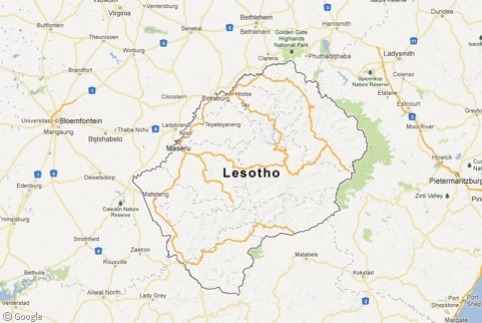 Important Buddhist temples are found across the Kingdom. In Paro, west of the capital, Rinpung Dzong is a monastery and fortress which we took a closer look at back in 2009. The Dochula Pass is a popular spot on the road out of Thimphu to the north-east. 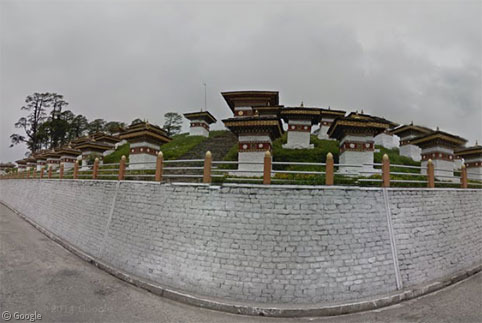 Unfortunately the stellar views were blocked by cloud when the Street View car went by, but we can see the 108 chortens (the regional name for stupa) that were commissioned by the Queen Mother of Bhutan. 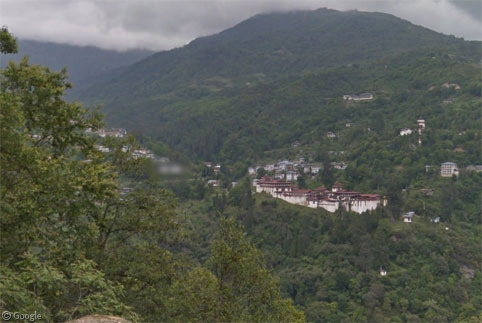 In the centre of the country, Trongsa Dzong is prominent above the hillside town, and is believed to be the country’s largest Dzong (a Buddhist monastery and fortress). Looking at some of the landmarks in the capital Thimpu, we begin with the National Memorial Chorten, which honours the third King of Bhutan. 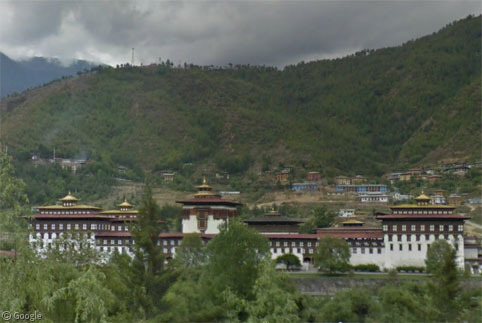 Dechencholing, the royal palace and residence, is found a short distance north of the capital, in an area not visited by the Street View car. The current king (the fifth) took the throne in 2006, with formal coronation ceremonies held a couple of years later at Tashichho Dzong, an important temple which houses the throne and assorted branches of the government. Across the river is Gyelyong Tshokhang – the National Assembly building. 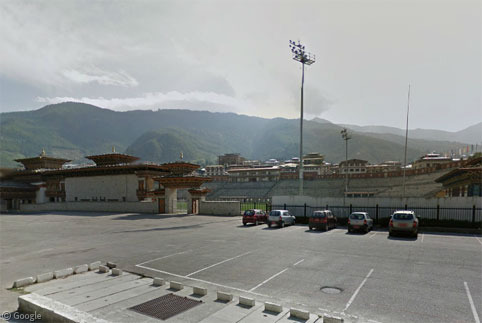 A short distance south is the Changlimithang Stadium, which is home to the region’s soccer teams, as well as major public events (such as the King’s wedding), and events for the country’s national sport – archery. 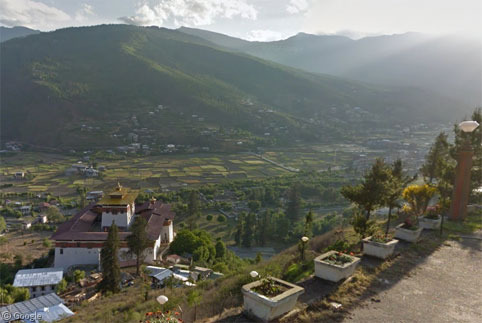 North-east of Thimpu is Punakha, the former capital, though sometimes still referred to as the winter capital because of its slightly more temperate climate. The Dzong here (known as the palace of great happiness) is considered one of the finest buildings in the country. 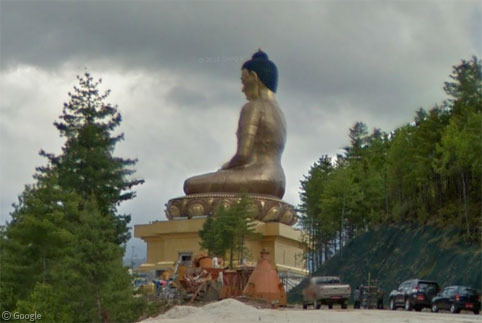 South of Thimpu is the (under-construction) Buddha Dordenma – a 50m-tall bronze and gold statue which will contain 125,000 much smaller Buddhas. 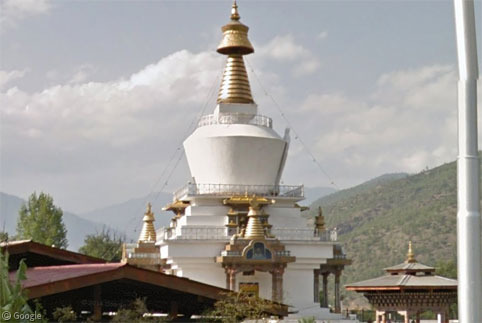 If you have been to Bhutan please find your favourite locations on Street View and post them in the comments – we’d love to hear about your experiences in the country!